Thank you for choosing to support ROAR in our efforts to build strong, self-sufficient Native American Communities. 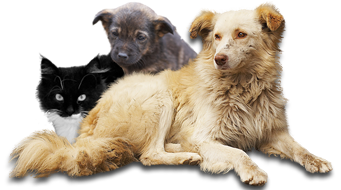 Your gift will help provide much needed supplies for animals on the rez as they are rescued and their loving forever homes are found. Your online donation is the most cost-efficient method of giving, allowing us to use more funds to help those we serve. If you would rather make a donation by phone, please call toll free (866) 311-9635. If by mail, please print this donation form and send it, along with your check made out to Rescue Operation for Animals of the Reservation. * Notification Recipient Street 1: Required Notification recipient street is required. * Notification Recipient City: Required Notification recipient city is required. * Notification Recipient ZIP/Postal Code: Required Notification recipient zip or postal code is required. Yes, I would like to help ROAR reduce their fundraising expenses by repeating this gift every month. Choosing this option will repeat this gift transaction every month using the account you provide. * Billing First Name: Required Billing first name is required. * Billing Last Name: Required Billing last name is required. * Billing Street 1: Required Billing street address is required. * Billing City: Required Billing city is required. * Billing ZIP/Postal Code: Required Billing zip or postal code is required. * Billing Email Address: Required An email address is required. We accept PayPal, Credit Cards and Bank Account Withdrawals. Please choose your payment type. Credit Card Type: We accept PayPal, Credit Cards and Bank Account Withdrawals. Please choose your payment type.